Taking place on Saturday December 1st, an afternoon for women run by women in drum and bass. 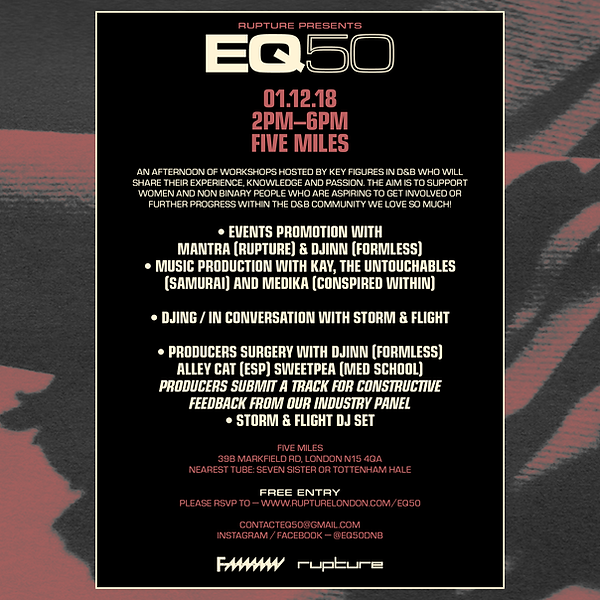 The event will be hosted by key figures in drum and bass who will share their experience, knowledge and passion of DJing, production and organizing events. To confirm your place please RSVP at www.rupturelondon.com/eq50 - we look forward to seeing you there!